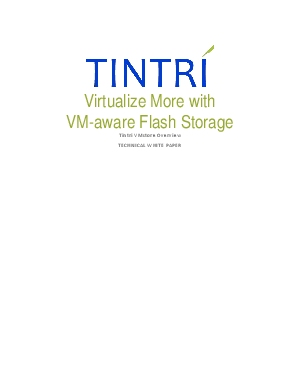 > Tintri > Finally Storage and Virtualization Speak the Same Language! Tintri VMstore allows you to overcome the complexity, performance and cost obstacles that prevent virtualization of more of your computing infrastructure. Learn how enhanced VM-aware storage features and a dual-controller system enable even broader virtualization deployments and dramatically simplify performance troubleshooting.